Antti Niemi vs Alex Stalock: Fair Treatment? Entering the 2015 season it appeared Alex Stalock would be given a chance to win the starting position. So far that has not been true. Before the season even started Doug Wilson turned heads with his statements during the summer. Other than his words of being a “tomorrow team,” he outlined that younger players would be given a chance to take roster positions over veterans. The captaincy would be re-evaluated and the locker room problems would be addressed. 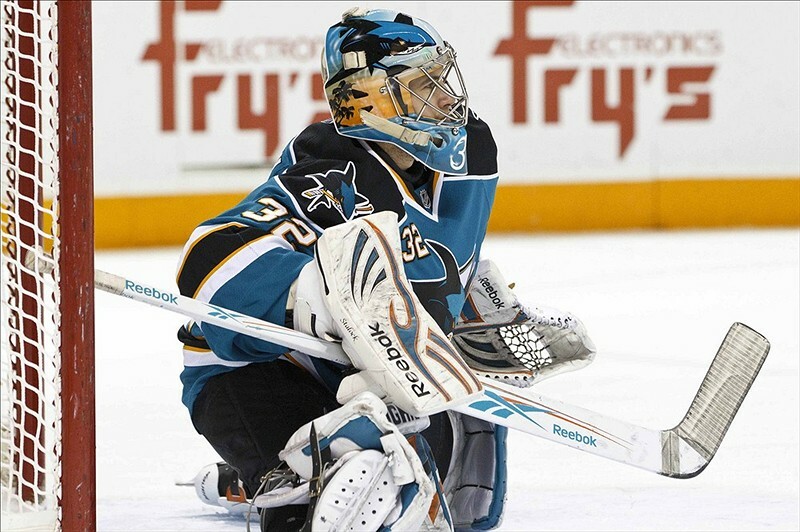 Lastly, the starting goaltender position would be up for grabs just as it was in 2011 when Antti Niemi and Antero Niittymaki were brought in to replace franchise goaltender Evgeni Nabokov. So far the Sharks have stayed true to just about every aspect of Wilson’s word this summer. Younger players are playing larger roles, the captaincy still has not been filled and the “winning rebuild” is continuing. The one thing that has not reigned true is the open goal-tending position. In 13 games this season Stalock has only started in four. Stalock is currently on pace to play 25 games this season which is only one more game than he played in 2014. Despite their identical play in net, Niemi has already won the job. Is this a joke, because I assure you Alex Stalock is not laughing. Through the first six games of the season both goalies alternated games but for the past seven Stalock has only one start to his name and Niemi has six. What happened to the open position in net? What happened to giving every player on the Sharks roster a fair chance? The Sharks are currently giving the young players a chance on offense with Tye McGinn and Barclay Goodrow as well as defense with Mirco Mueller. This doesn’t even include sophomores Matt Nieto, Tomas Hertl and other young players in expanded roles such as Justin Braun. Not too mention the amount of times the Sharks will call up Chris Tierney, Eriah Hayes or Freddie Hamilton throughout the season. So why is it San Jose is giving every other area a fair chance except in net? What did Stalock do wrong? Here are the statistics for the nine games of the season. Through the first nine games of the season both goaltenders were interchangeable neither showing signs that they were better. Since then Niemi has played six of the past seven games and there is no reasonable way to compare his play to Stalock’s. So far Niemi is looking better than last season but Stalock was keeping up so why cast him aside? The Sharks have no attachment to Antti Niemi nor have they invested in his future as his $3.8 million contract expires at the end of the season. This is the perfect time to give Stalock a chance to shine. Antti Niemi may lead the Sharks to a Stanley Cup but he may also fetch a large price in the trade market which in turn could lead to a Stanley Cup. Niemi is 31 years old while Stalock is 27 and over $2 million dollars cheaper. Obviously Niemi is a proven NHL goaltender winning a Stanley Cup with the Blackhawks and earning a Vezina nomination with the Sharks. Still consistency is something that has plagued his career. Going back to the 2010, each poor season has been followed up by a solid season and vice versa. This year Niemi is due to have an stable season but that is besides point. It is true that Alex Stalock has not proven that he can be an NHL starting goaltender but the Sharks have yet to actually give him a chance. Until that happens he will simply become another Thomas Griess. The long term benefits of using Alex Stalock in net far outweigh the short term perks of using Antti Niemi for however brief a time. This decision will either end with an enormous contract for Antti Niemi or a new starting goal-tender in Stalock and possibly new players acquired via trade. It certainly is not an easy decision, but it would be a lot easier to make an informed decision if the Sharks decide to actually give Alex Stalock a chance. Without testing a hypothesis through experimentation you cannot analyze the results to draw a conclusion. In this case Stalock starting more games is the hypothesis and the experiment is doing just that. At this point the Sharks are drawing their conclusion without full experimentation and full results. This is not the right way to assess your assets.